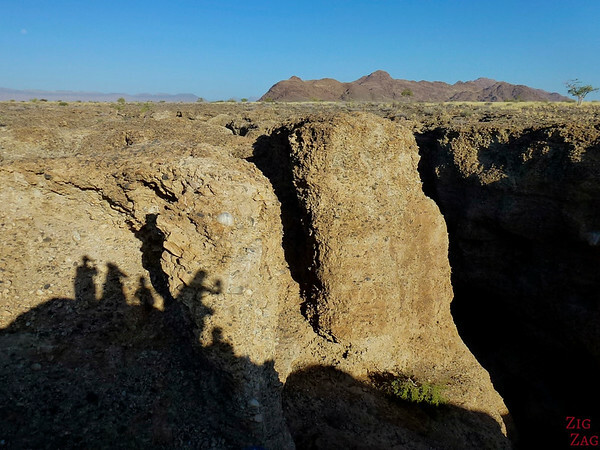 Not far from the high orange sand dunes of Sossusvlei is the Sesriem Canyon which is often overlooked. But what a change in scenery! Forget the orangy sand dunes, this is a completely different landscape. I could not believe there was such a radical change just a few kilometers further. A nice short stop. 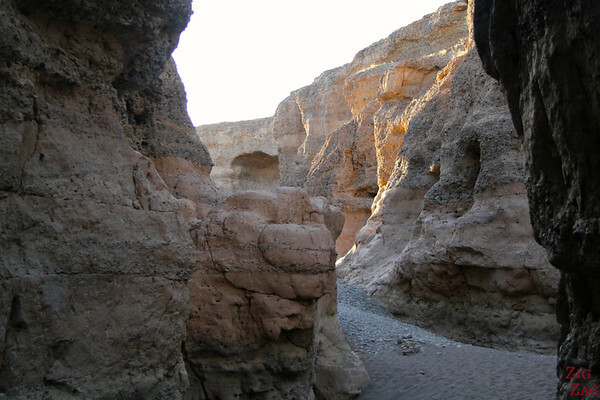 The Sesriem Canyon is a 1km long and 30m deep gorge carved 2 millions of years ago by the Tsauchab River. Every turn reveals interesting shapes and rocks and the different sedimentary layers. The canyon is only two to three metres wide, and has a portion that permanently contains water, which many animals use. It is a nice short walk but of course nothing in comparison to the Fish river canyon. By the Sesriem gate, hot air balloons depart in the early morning, providing scenic flights over the Sossusvlei dunes. At first we arrive and approached the canyon from above. This is pretty good. 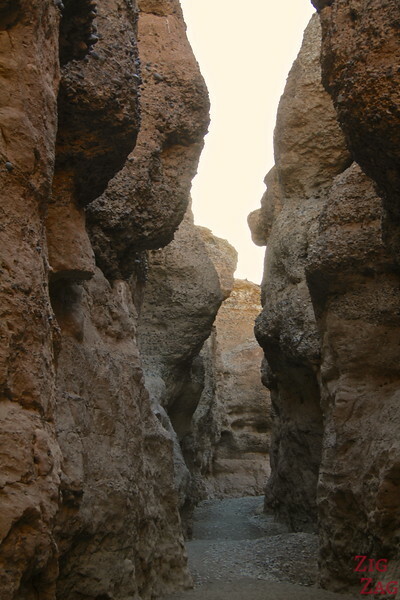 I enjoyed the narrow path in the Sesriem canyon with many curves and the sedimentary layers to observe. 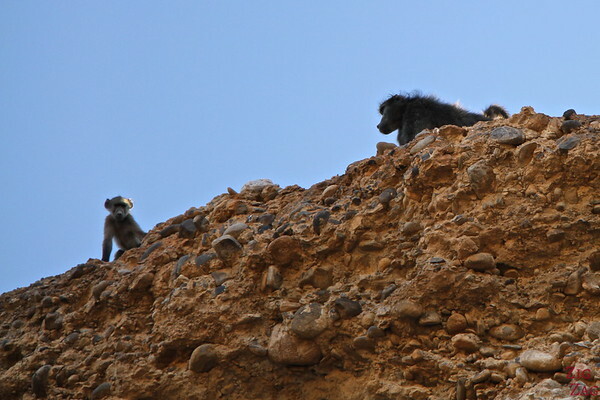 On top of that a group of Savannah Baboons was spying on us from one side of the canyon. It was really funny to observe them observing us. Unique shape, don't you think?